A 70m2, ground floor apartment with a separate entrance, just minutes walking distance from the Main Square, Zagreb Cathedral and all the main attractions that Zagreb has to offer. Surrounded by old historical sites but also the oldest bakery in Zagreb. New restaurants and pubs but also oldest city coffee houses, parks, churches, and so much more. 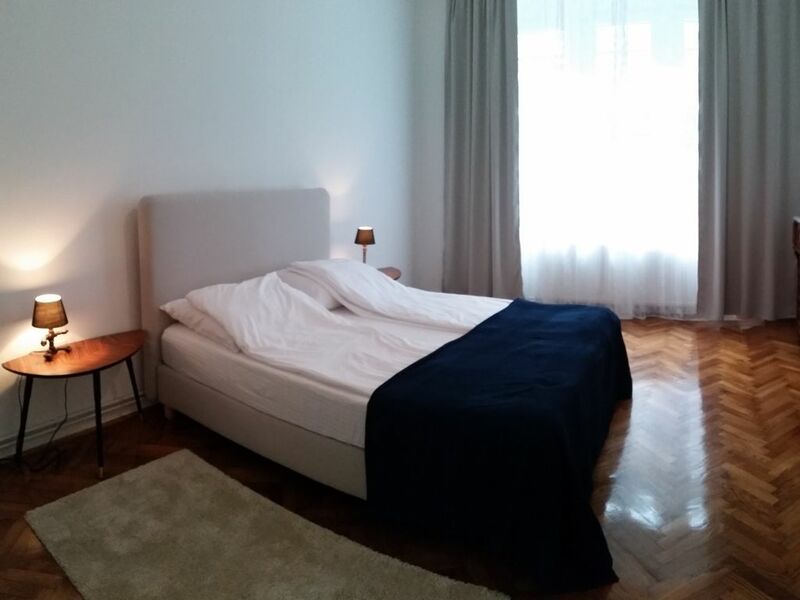 Although in an old part of Zagreb and a building with horse and carriage entrance, the apartment is fully renovated and offers full comfort to traveling families, businessmen and other profile of guest. It has fast and free WiFi, fully furnished kitchen, washer and dryer. As the apartment is located in Zagreb Center and yet in a street which is away from the daily hustle and traffic you will be able to rest well in a very comfortable seting and at the same time reach all that you should see in Zagreb by just steping out the door. It was completely renovated and newly furnished in the summer of 2017. If there is any need for assistance, suggestions or help, I am allways at your disposal and can be reached at any time via mobile phone or messaging aps... It will be my pleasure to help to make you stay in Zagreb enjoyable and memorable. Public garage near by. Aproximate daily fee 8 EUR. We will gladly confirm on request. Flat screen LED with cable channels. We enjoyed the comfortable apartment, very clean and close to all main and important places. We recommend highly this apartment.